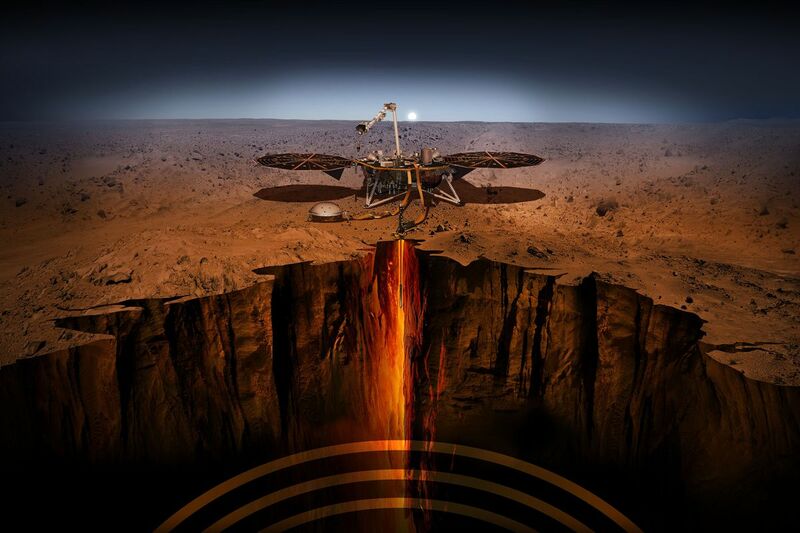 NASA just landed InSight, a robot geologist, on Mars | "Global Possibilities"
A major feat of interplanetary space travel took place on Monday. NASA’s InSight spacecraft landed on Mars to begin its two-year study of our neighboring planet’s core. It’s the first NASA Mars landing since the Curiosity rover touched down in 2012. You can watch NASA’s live stream of mission control in the video below. And here’s why the landing was so harrowing: Because the spacecraft is so far away, NASA’s mission scientists at the Jet Propulsion Laboratory in California, weren’t able to pilot InSight. Radio transitions to the lander are delayed by several minutes. 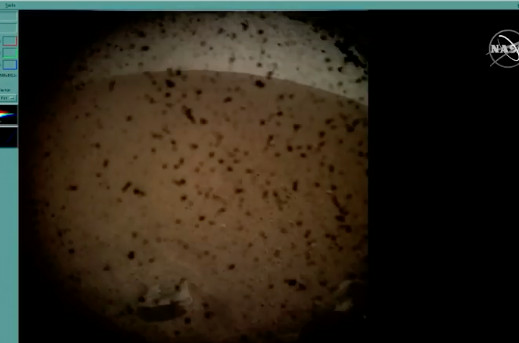 And like the Curiosity rover, InSight had to land itself in only 6.5 minutes. Now we just have to wait a few hours for confirmation that InSight’s solar panels have opened. The challenge: Red Planet has almost the same gravitational pull as Earth, but unlike Earth, it doesn’t have a thick atmosphere to help slow down spacecraft. InSight hit the Martian atmosphere traveling at 12,300 mph, and within 6.5 minutes, it had to slow down to 5 mph to land. The landing occurred in a few stages that were all carefully programmed by NASA scientists. First, InSight detached from the “cruise stage” of the mission. This is the part of the craft that ferried it from Earth to Mars, and Insight needed to leave it behind in space. Then Insight had to turn so its heat shield was pointed dead-on at the atmosphere, which started about 70 miles over the surface of the planet. 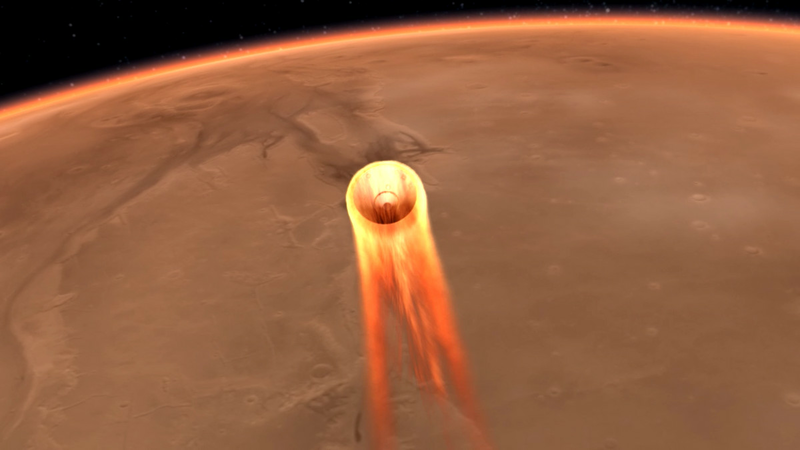 An illustrated depiction of InSight entering the Martian atmosphere. That heat shield protected it as it slowed down from 12,300 mph to 1,000 mph in just two minutes. Then, 10 miles above the surface, it jettisoned the heat shield and deployed a parachute. But the parachute wasn’t enough to slow the craft to landing speed. This was the most harrowing part: InSight had to land itself, and it had to be ready for less than ideal conditions, like a dust storm. About a mile above Mars, InSight let go of the parachute and turned on some thrusters. It had to quickly maneuver to not hit the jettisoned parachute. 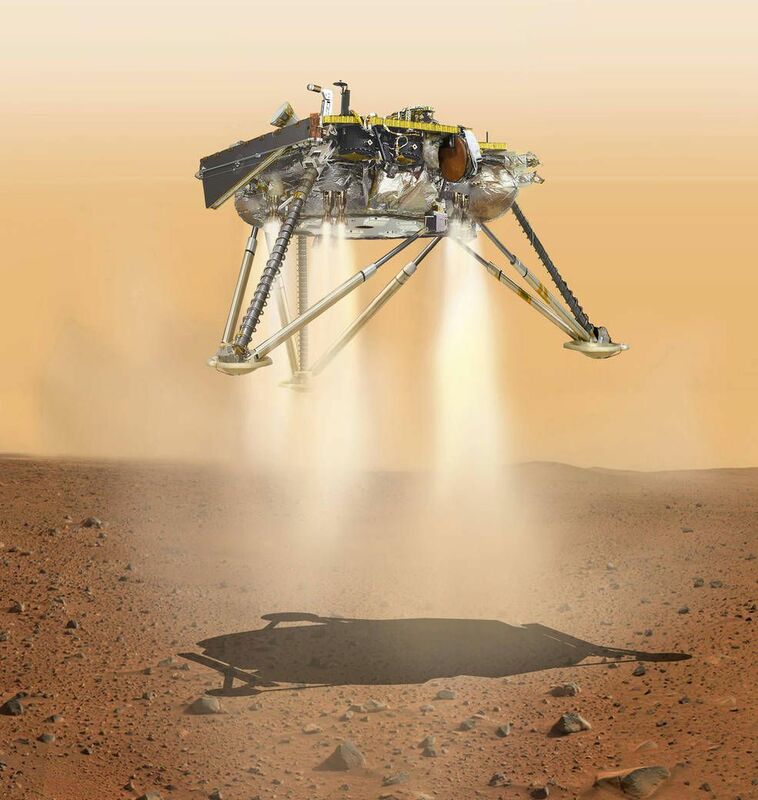 This is an illustration showing a simulated view of NASA’s InSight lander about to land on the surface of Mars. InSight landed on a region of Mars called Elysium Planitia, a large, flat, plain on the equator. The site was chosen, in part, because InSight will be running on solar power, and it needed to be near the equator to get enough sunlight to stay powered for two years. 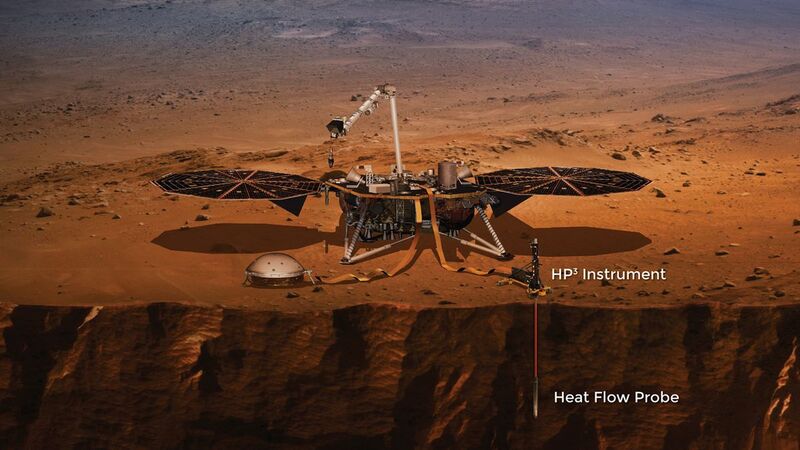 Insight will also be taking the temperature of Mars; the Heat Flow and Physical Properties Probe will hammer 16 feet down into the surface. The instrument will be able to determine how heat flows from Mars’s core to its surface, and help scientists understand if the cores of Earth and Mars formed in a similar way. This is all important to study because scientists want to better understand how rocky planets like Mars, Earth, and Venus form. Underneath the surface of Earth is a molten-hot mantle upon which our landmasses (tectonic plates) float. Plate tectonics are responsible for much of the geologic activity on Earth, generating the energy for earthquakes and volcanoes. But Mars doesn’t have tectonics that are active like ours.